The 25-year old former Irish, Welsh, Scottish and British Strokeplay champion is one of five former Curtis Cup players in the field alongside Charley Hull, Kelly Tidy, Amy Boulden and Holly Clyburn. 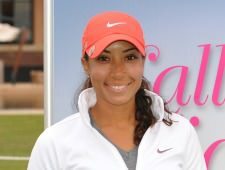 Tiger Woods’ niece Cheyenne Woods, Ariya Jutanugarn and Jacqueline Hedwall are also in the 141-strong field for an event which will be played over five round at the Al Maaden and Amelkis Golf Resorts in Marrakech. After the first four rounds there will be a cut to the leading 60 players and ties. The final round to determine exemption categories will then be played at the Al Maaden Golf Resort only. Danielle McVeigh at the 2010 British OpenThe top 30 qualifiers and ties on Monday evening will earn membership of the LET in category 8a, while players finishing down to equal 60th position will be eligible for category 9b. McVeigh turned professional last year and played on LET Access Series this year - the LET’s equivalent of the European Challenge Tour - finishing 16th in the Order of Merit to avoid playing the Pre-Qualifying for the Tour School this week. She’s certainly trying to stay relaxed, as she explained on her official website recently. The final tournament of regular season finished up in mid-November, giving me a few days to rest and then get back to the grind in preparation for Q school. I know the areas that need improving, so I will be focusing on my ball striking, shot shaping and putting. Hitting different types of shots is fun, solid ball striking is required for this to be realised. This will allow me to PLAY the game with more freedom and enjoyment which will be a major factor when it comes to Q School, the supposedly most pressurised tournament of the year, and therefore be more be relaxed throughout. I have had some downtime, I enjoy going to listen to live music, last week I went to Alabama Shakes gig in Dublin, which was fantastic. The thing I love about live music is that each song is never exactly the same, there is always an element of creativity with each piece. This is much like hitting a golf shot, no matter how many times I have a hit a high draw 5 iron it will never be the same as the last one I hit. I can practice and practice and practice some more, but each shot is a completely new experience. Knowing this, and being able to let go of control allows my natural feel for the game to shine through…like a great musician. Hitting the right notes will not be easy in a field comprising players from 30 countries with Sweden the best represented with 21 players, followed by England with 15, the United States with 13, Australia with 11 and Spain and South Africa, both with nine players each. Cheyenne Wood, niece of Tiger, is also at Q-School in MoroccoThere are 21 amateurs in the field, including eight in the top 25 of the World Amateur Ranking. Ariya Jutanugarn from Thailand is the highest ranked amateur on that list at second, followed by England’s Charley Hull (No 7), Australian Breanna Elliott (No 9), Bonita Brenenhann from Namibia (No 15), Nicole Broch Larsen from Denmark (No 16), Perrine Delacour of France (No 20), South African Kim Williams (No 22) and Maria Salinas from Peru (No 25). Meanwhile, the medallists of the first qualifying stage, Maha Haddioui from Morocco and Emily Taylor of England, will hope to continue their success at the final stage this week. Carlow’s Tara Delaney was in action there too but despite putting in a huge effort, she failed to qualify for this week’s final test. Danielle McVeigh will get some perfect preparation for a double Q-School tilt next month when she tees it up in this week’s Murcia Ladies Open. 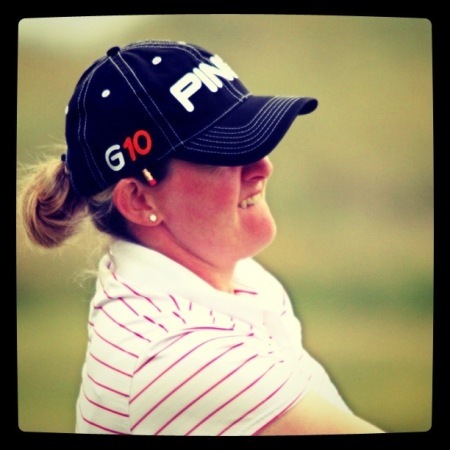 Martina Gillen opend with a three-over 76 at the LET Q-School. Martina Gillen and Danielle McVeigh made contrasting starts to the final stage of the Ladies European Tour Qualifying School in Spain. Danielle McVeigh lit up the second round of the LET Q-School with a red-hot finish. Royal County Down’s Danielle McVeigh birdied five of her last six holes in a superb 66 to surge into contention for her Ladies European Tour card at Lalla Aicha Tour School in Morocco. Danielle McVeigh has a fighting chance of winning her Ladies European Tour card with a round to play in Morocco. Picture via daniellemcveigh.co.ukDanielle McVeigh brilliantly birdied three of her last four holes to make the cut and go into Monday’s final round of the Lalla Aicha Tour School in Morocco with a fighting chance of winning her Ladies European Tour card. Danielle McVeigh had a disappointing finish but still earned category 9 membership of the LET at the Q-School in Morocco. 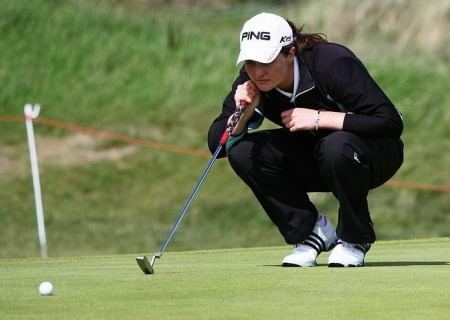 Picture via daniellemcveigh.co.ukDanielle McVeigh saved her worst round for last as she came up short in her bid to win her Ladies European Tour card at the final stage of the Lalla Aicha Tour School in Morocco.